Posted Monday, January 17th, 2011 by Greg Gladman. When shopping for a printer for your home or office, there are a number of choices to think about, from speed and capacity to features and functions. One of the most important aspects of a printer is how you will connect to your computer and other devices to make printing and other functions as easy as possible. A networked office might be best served by a wired ethernet connection, while home users might prefer the ease of printing without wires, for example. Here are the most common connection options for a printer, and some of the pros and cons of each. Parallel and serial connections were some of the earliest technologies for connecting printers. They offer a reliable connection, but they are limited on speed, and most modern computers no longer offer these ports, making them essentially obsolete. USB, or Universal Serial Bus, was designed as a replacement for older technologies such as parallel and serial, offering faster transfer speeds and easier setup. 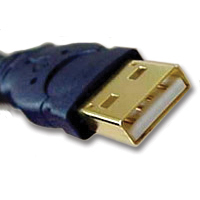 USB has the advantage of Plug-and-Play technology, which allows a computer to recognize the device and even search for drivers in some cases, and just about every modern computer on the market supports the protocol. USB 2.0 and the newer USB 3.0 standard offer even faster speeds, as well as backwards compatibility. The downside of a USB connection for printing is that it is limited to only one computer or device at a time. A printer with an ethernet port can connect directly to a home or office network, and the printer can then be shared among multiple computers and devices. This frees an office from having to supply printers for each individual, for example, and allows a printer to be located centrally for all users to access. 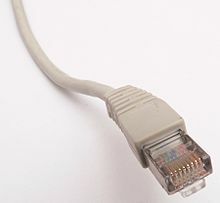 The downside of ethernet is that each computer must be connected to the network via cables, which can be costly and doesn’t provide as much flexibility for laptops and mobile devices. Bluetooth utilizes a wireless protocol to send and receive signals over the air, without the need for wires. 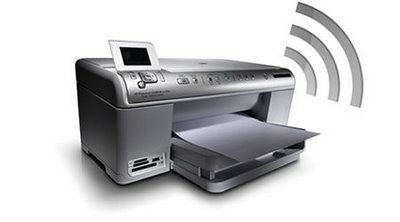 While Bluetooth is popular for smartphones, audio systems, and other wireless uses, Bluetooth printing has never become very popular. This is mainly due to its limited range, which can be a problem in larger offices. 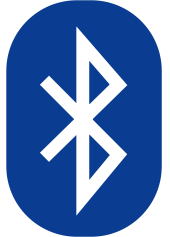 Bluetooth also requires a direct pairing between two individual devices, while other technologies like Wi-Fi allow a printer to be shared across a network, and also offer a wider signal range. Wi-Fi is another type of over-the-air technology that requires no wires, and has become the standard for wireless printing due to its easy setup, versatility, and wide range. Most modern computers support the Wi-Fi protocol, and external adapters are available for those that do not, at inexpensive prices. Wi-Fi networks are very similar to ethernet networks, allowing for file-sharing, shared printing, and streaming, and their range continues to improve with newer versions of the 802.11 protocol. Newer printers with Wi-Fi support can even allow users to print from tablets and smartphones, for even more convenience. The downside of Wi-Fi is the potential for signal interference through dense walls, and the need for a wireless router to act as a central hub for the network. When choosing a connection method for a printer, you should not only consider your needs today, but also in the future. Choosing a model with multiple connection options will help to keep it relevant for years to come, and to adapt to new devices and situations as they come along.